OC Sox leadoff hitter Greg Martinez struck out in his first at bat in game one versus the North San Diego Padres. From there he went 14 -19 with five triples, two doubles, two walks, scored 14 runs and drove in six, earning him MVP honors for the tournament. 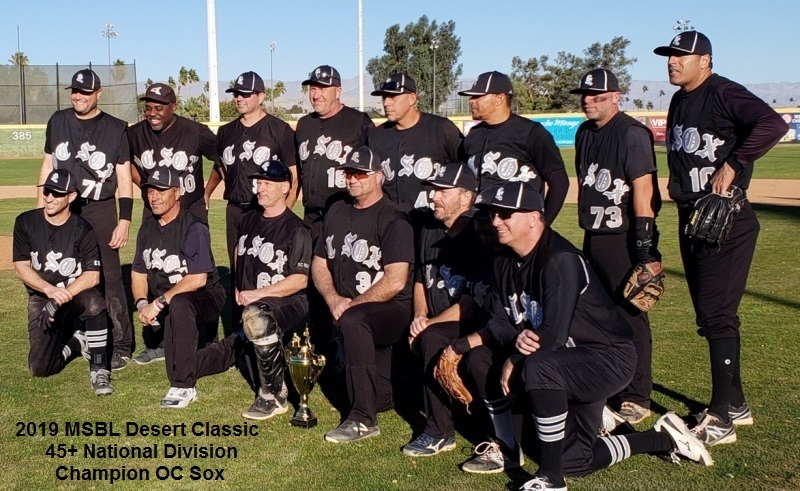 The OC Sox went 3-0 in the tough West Bracket, earning a spot in the wicked National Playoffs. Eric Orue, in spite of him and his catcher seemingly never on the same page, went 8.3 innings in game one while striking out 10 for the win. Jeff Goossens came in to get the save for a 7-4 Victory over the North County Padres. Dave Morrow started the next two pool play games earning the win in both games. The Sox were led at the plate by Martinez, Orue, Goossens, Alonzo Mendoza, Kenny Lumpkin, Kurt Mascio, John O’brien, John Berryman, Bob Pone and manager Dave Rice. Pone was strong at shortstop all weekend. 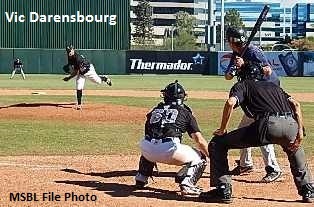 Vic Darensbourg got the ball in the semi-final against wild card entry North County Padres. Darensbourg was perfect through four and was pulled as the Sox jumped out to a 15–0 lead. Lumpkin provided much of the fire power with a 3-run home run as the Sox never looked back, earning a spot in the championship, 26–9. Wearing their all blacks, the Sox had their backs against the wall early in the championship against the Sacramento Rockets falling behind 6-0, after three. The Sox came roaring back outscoring the Rockets 14 to 1 the rest of the game. Darensbourg got the win and just missed hitting for the cycle, going 3-5 with a 3-run home run. Lumpkin, Mascio, Martinez, O’Brien and Medoza all stayed hot, each collecting multiple hits.